I wrote a feature story for the winter 2016 issue of The Cleaver Quarterly, a magazine dedicated to exploring the many delicious, fascinating, and amusing facets of Chinese food culture, both within China or scattered around the globe by the Chinese diaspora. 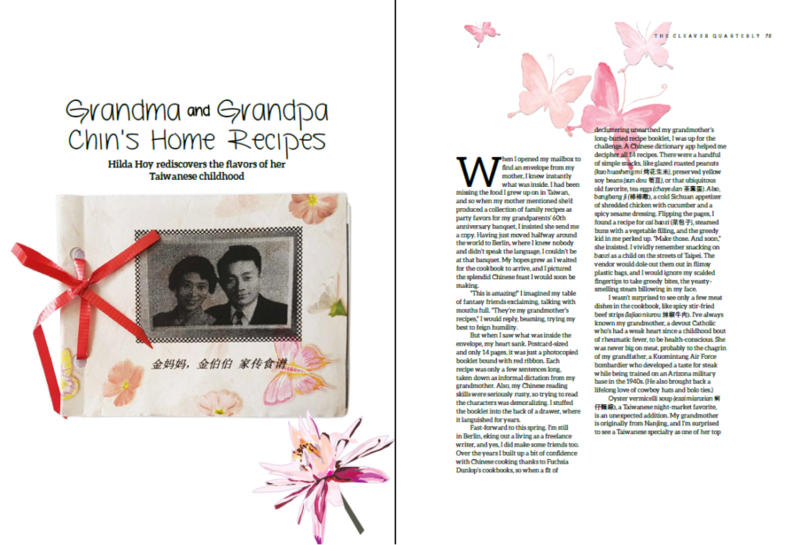 It’s not only one of the longer features I’ve ever written (at 3000 words) but also one of the most personal: It’s the story about getting closer to my Asian roots by cooking (or at least attempting to cook) my Chinese grandmother’s favourite recipes. Online version coming soon, but until then, here’s a link to a PDF version.